Courses, seminars and onsite trainings take place in Germany, Canada, the US and all over Europe. Bodenseo, Your competent training partner for education in Python, Perl, and other programming languages, and Linux. Bodenseo is situated in the heart of Europe on the shores of Lake Constance, where Switzerland, Austria and Germany meet. One or two hours away from Zurich, Basel, Luzern, St. Gallen, Bregenz, Stuttgart, Karlsruhe, Freiburg, Strasbourg and if you take a plane this is true for some European countries (France, Italy, England and the UK) and cities as well, e.g. London and Paris and many other cities in Europe, e.g. Luxembourg, Geneva, Vienna, Lyon, Rome, Milan, Dublin and others. 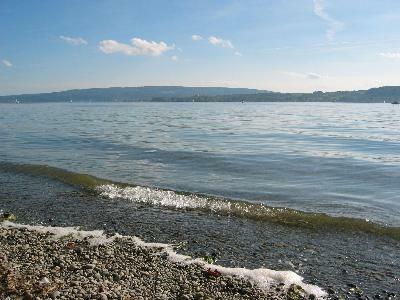 Linux and programming language courses, Python, Perl, C, C++, Java and others in one of the most beautiful holiday areas of Germany, Lake Constance. Bodenseo is offering courses in Eastern Canada and nearby U.S. States - Ontario, Quebec, the Maritimes, and North-Eastern U.S. - in core cities and their surrounding areas - such as Toronto, Montreal, Halifax, New York, Boston, and Chicago. Bodenseo offers superior programming language courses, - with a focus on Python courses - and Linux training classes for beginners, intermediate and advanced levels, e.g. "Linux Course for Beginners" or "Linux System Administration"
Without doubt, choosing the right programming language is as significant as the right operating system. Python is one of the most important languages nowaday: It is one of the three "official programming languages" at Google, alongside with C/C++ and Java. Of course, at Google lots of other languages are used as well, such as PHP, C#, Ruby and Perl, but Google software developers are officially allowed to deploy these languages to production services.